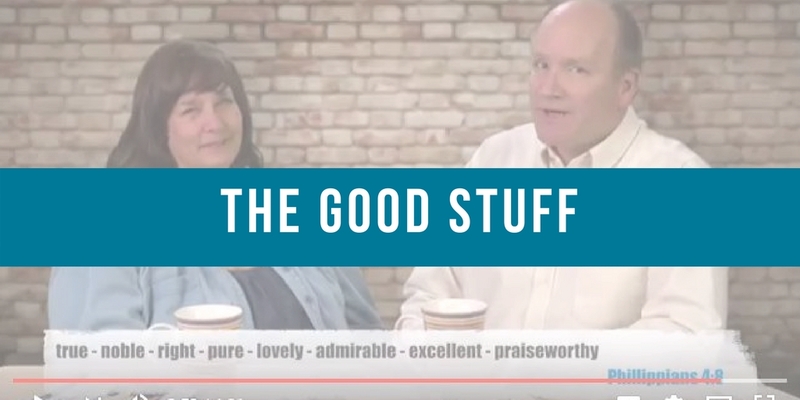 Good Stuff – What’s that? In the video we speak of strengths, and focusing on strengths in each other. Do you know your own strengths? What about your spouse’s strengths? Do you share strengths – or are your strengths complementary? W hat are your strengths? A few years ago we all (Rob, me and our 3 adult children) completed the StrengthsFinder2.0. The book version provides your top 5 strengths (out of 34). Robert and I share two of five strengths: strategy & connectedness. The three ladies in our family – our daughter, daughter-in-love and me – all have the strength of empathy in our top five… and it goes on. When the 5 adult people in our family put our strengths into the 4 quadrants for a team, we are completely missing one quadrant. 😉 We joke that God will find our daugher a husband with strengths to fit into that last quadrant! You can read more about our StrengthsFinder 2.0 experience in this post. In the end, we are given what talents we have. God knows our challenges and what we need to face along life’s way. He will provide the perfect answers in the perfect timing. In the meantime – let’s focus on the good. What’s good? 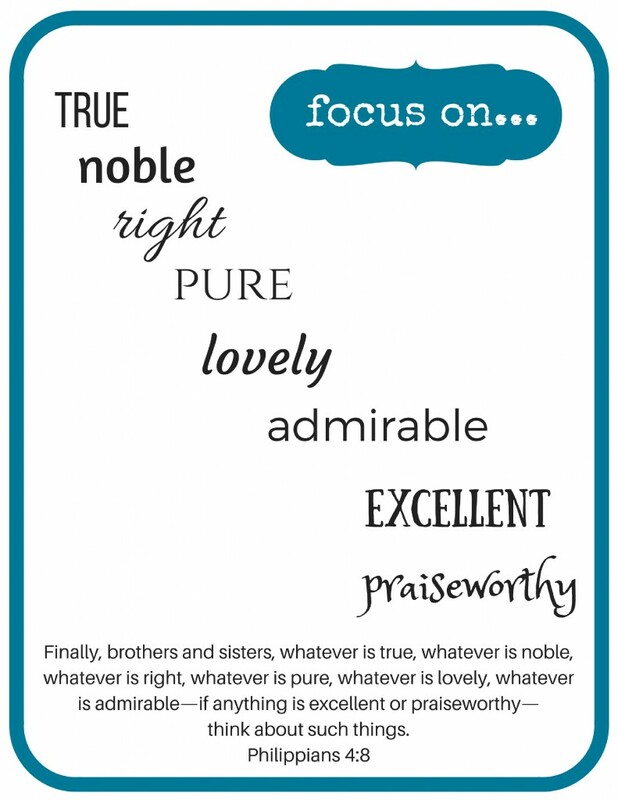 Download the printable below – and print it – to remind you to focus on the good stuff! Quick! What’s good right now in your marriage/life?